Benjamin B. Janz, son of Benjamin B. and Helene (Penner) Janz, was born September 25, 1877. Janz went to High School from 1892–95. In 1896 he accepted a teaching position in Yalantusch in the Crimea, in an elementary school. In 1897 he became a Christian and joined the Mennonite Brethren Church. Through extra study, he was able to obtain his final teaching certificate. In 1900 he accepted a position as tutor on a large Mennonite estate near Kleefeld. After serving three years as a private tutor, Janz became principal of the village school at Sparrau. Janz married Maria Rogalsky on September 25,1905. They moved to Tiege in 1908, where he was a teacher and, in 1909, was ordained and elected leader of the Mennonite Brethren church. Janz served in non-combatant areas in World War I. After the war, in 1917, he became overworked and ill, and almost died. In 1921, the Mennonites’ right to non-combatant service was revoked. Janz was elected to appeal to the government. Under Janz, the Mennonites began to search for paths of emmigration. He was instrumental in co-ordinating the importing of relief supplies from MCC in the United States during the famine that started in 1920. He also petitioned the government to stop the army’s harassment of Mennonites in the Ukraine. In representing the Mennonites, Janz made many contacts in the upper levels of Soviet government. The first 3,000 Mennonites emigrants left the Soviet Union in 1923. 5,048 more emigrated in 1924. Janz left his position as spokesman for the Mennonites in March 1926, as the Mennonites were no longer united. He left the Soviet Union in May 1926. His family followed later that year. They settled on a farm in Coaldale in 1927. In Canada, Janz worked with the Board of Colonization in Rosthern and went to the United States in 1927 to appeal for aid. In 1928, he was elected as church leader of the young Coaldale Mennonite Brethren Church, and continued as such for about 20 years. He was a prominent spokesperson and outspoken leader of the congregation. Janz was also involved in debate over issues involving World War II. He spoke out against pro-Hitler Mennonites, and worked towards establishing an alternative service policy with the government, as head of the Military Problems Committee of Western Canada (a Mennonite organization). He worked for the rights of Mennonite Conscientious Objectors who had been conscripted against their wills. Janz was assistant chairman of the Canadian Mennonite Board of Colonization and chairman of the Western Relief Committee (inter-Mennonite) for many years, and through these committees he was connected with the Mennonite Central Committee. As a member of the Canadian Board of Colonization, Janz worked closely with MCC after the Second World War, in assisting Soviet Mennonite refugees in Germany. He helped them settle in Germany or emigrate to Canada and Paraguay. Janz’s wife, Maria, died on October 13, 1953, of a heart attack. The last decade of Janz’s life were riddled with intermittent illness. He finished writing his memoirs in 1960. Janz died on October 20, 1964. From With Courage to Spare by J.B. Toews. The Janz fonds is one of the oldest and most important collections at Centre for Mennonite Brethren Studies. It was acquired by Herbert Giesbrecht librarian of Mennonite Brethren Bible College, with the help of J.A. Toews, in the late 1960s. Acquisitions such as this one led to the conference appointment of Giesbrecht as one-quarter time archivist in 1969. The correspondence in Series XIII, Files 136–148 is a later acquisition, still by Herbert Giesbrecht. There are no accession records for the major part of the fonds. In 1982, Rudy Heidebrecht donated a tape of B.B. Janz (1957). In 1991, the Centre for Mennonite Brethren Studies, Fresno, donated 1 spiral notebook containing correspondence and a diary of B.B. Janz’s trip to Brazil and Paraguay in 1947 on behalf of the General Conference of Mennonite Brethren Churches in North America. This notebook had been donated to the archives in Fresno by J.B. Toews. It is located in the B.B. Janz fonds, file 157. The two letters in B.B. Janz fonds, file 158 were donated by Agnes Huebert, Winnipeg, in 1992. The Benjamin B. Janz fonds was created as a result of his interest and active participation in the emigration of the Mennonites from Russia to Canada in 1923 and 1924, alternative service, church and conference work and committees, and the Mennonite Central Committee. It consists of photocopied materials, original correspondence, copies of letters, conference or committee minutes, and other records. Some of the people who wrote, or to whom Janz wrote, are A.A. Friesen (Mennonite Land Settlement Board), David Toews( Canadian Mennonite Board of Colonization), C.F. Klassen (All-Russian Mennonite Agricultural Society), B.H. Unruh (Study Commission), A.J. Fast (working with B.H. Unruh), Jacob Janz (All-Russian Mennonite Congress), Alvin J. Miller (Mennonite Central Committee), and Orie O. Miller (Mennonite Central Committee). The number of documents and their organization is amazing, when we remember that Janz was a prairie farmer and pastor in the first half of the twentieth century, likely without the aid of a secretary and good office equipment. Most of the letters are typed and bound in duotang binders. Accession numbers are 1982–48, 1991–40 and 1992–30. Finding aid for tape: NA-01–167. I. Benjamin B. Janz emigration correspondence. 43 cm of textual material. This series is composed of correspondence, reports, lists of Mennonite immigrants, remittances, and receipts, all having to do with the emigration from Russia in 1923 and 1924. Most of them are in the German language but some documents are also in Russian or in English. Many items are duplicates acquired from the A.A. Friesen Archive at Bethel College. Much of the correspondence is by or to Janz. Organizations involved are the Mennonite Colonization Board at Newton, the Canadian Mennonite Board of Colonization at Rosthern, the Allrussischer Mennonitischer Landwirtschaftlichen Verein, the Canadian Pacific Railroad, American Mennonite Relief at Scottdale, and the Union of South Russian Mennonites. This series is arranged by month and year rather than by persons who wrote or received the letters. Finding aid: Benjamin B. Janz list 1–43. II. Benjamin B. Janz correspondence with Canadian Mennonite Board of Colonization, Mennonite Central Relief Committee, and Canadian Mennonite Relief and Immigration Council. Although the correspondence in this series is also about relief and immigration, it grows out of the activities of various boards. This series is organized by persons who wrote or received letters. The correspondence is original, arranged chronologically for the most part, and in the German language. Finding aid: Benjamin B. Janz list 44–56. III. Benjamin B. Janz correspondence with Mennonite Central Committee. 15 cm of textual material. These letters pertain to Janz’s activities in connection with the Mennonite Central Committee. The files are arranged chronologically and are predominantly in the English language, perhaps because correspondence was with American Mennonites. Finding aid: Benjamin B. Janz list 57–64. IV. Benjamin B. Janz correspondence regarding alternative service. 20 cm of textual material. This series grows out of Janz’s concern that young men should not go to war and was created because of issues surrounding the Second World War and Mennonite exemption. Some correspondence is in German and some is in English. Finding aid: Benjamin B. Janz list 65–72. V. Benjamin B. Janz correspondence with Mennonite Brethren Conferences and Churches. This series deals with issues that grow out of Janz’s activities as a member of various committees. He was on the Board of Reference and Counsel, the Foreign Mission Board, and the Committee for General Welfare and Publications of the General Conference. For the Canadian Conference, he was a member of the Executive Committee, the Advisory Committee, and the Committee of Reference and Counsel at various times. These files are predominantly in the German language. Finding aid: Benjamin B. Janz list 73–81. VI. Benjamin B. Janz private correspondence regarding various concerns. These letters are to and by Janz about private, church, and Mennonite institutional matters. They grow out of Janz’s concern and love for the Mennonite Brethren churches, their leaders, and their organizations. These files, in the German language, are organized in various ways, some chronologically and some geographically. Finding aid: Benjamin B. Janz list 82–97. VII. Benjamin B. Janz correspondence regarding the General Welfare and Public Relations Committee, General Conference of the Mennonite Brethren Church of North America. The letters in this series were created and collected because of Janz’s involvement as assistant chairman of this Board. Many letters are to or from P.C. Hiebert, the chairman, and other members of this committee. The General Welfare and Public Relations Committee cooperated with the Mennonite Central Committee in handling various projects in many areas of the world such as voluntary service in welfare, the peace witness, and mental health programs. The Committee focussed on relief questions, rehabilitation, and the draft for conscientious objectors in Canada and the United States. The letters are in the German language. Finding aid: Benjamin B. Janz list 98–106. VIII. Benjamin B. Janz correspondence with General Welfare Board workers in South America. 11.5 cm of textual material. This series is composed of records of the General Board’s activities in South America in Paraguay, Brazil, Uruguay, and Argentina where they assisted refugees or their children. The Board helped with the establishment of High Schools, Bible Schools, and churches, recruitment of ministers and school teachers, and training of South American young people for future service in their own countries. The letters are in the German language; many are copies. Finding aid: Benjamin B. Janz list 107–111. IX. Benjamin B. Janz correspondence with individuals in South America. 25 cm of textual material. This series is composed of minutes of church meetings and correspondence with church leaders and ministers. These records grow out of Janz’s concern for the material, intellectual, and spiritual progress of the churches in South America. He spent much time helping the South American conference and churches to become established on a scriptual basis. The letters are in the German language and many are copies. Finding aid: Benjamin B. Janz list 112–121. X. Benjamin B. Janz and Publications. 5 cm of textual material. This series is composed of Janz’s correspondence with the editors of Mennonite periodicals. His letters express such concerns as distribution of Bibles in Russia, acquisition of textbooks for South American Bible Schools, and the need for pamphlets on the peace position for North Americans. Mennonite periodicals were a vehicle of communication to make Janz’s projects known to the public. Also included is a folder of articles written by Janz and others. Letters and articles are in the German language, some in Gothic script. Finding aid: Benjamin B. Janz list 122–125. XI. Benjamin B. Janz and Canadian Immigration correspondence. 6 cm of textual material. This series contains correspondence with government officials such as J.S. Dennis (Department of Colonization and Development), the Canadian National Citizenship Division, and the Department of Mines and Resources on the federal level. Also correspondence with sugar factories, schools, utility companies, vital statistics, and insurance companies on the provincial level. Some letters are in English and some in German. Finding aid: Benjamin B. Janz list 126–130. XII. Benjamin B. Janz miscellaneous correspondence. 10 cm of textual material. This series is composed of correspondence about the care of new immigrants. Tons of clothing were sent from various places in Canada and the United States for Mennonites who came from Russia. Included is correspondence with wholesale distributors about refugee needs and correspondence with the deputy minister about whether Mennonites were allowed to educate their children in the German language in Canadian schools. Finding aid: Benjamin B. Janz list 131–135. XIII. Benjamin B. Janz chronological correspondence. 23 cm of textual material. A note from Herbert Giesbrecht, archivist, indicates that this series was a later acquisition. The correspondence is not bound in duotangs, but rather loose original letters are arranged chronologically. The letters are written by or to Janz and are about conference matters and South American concerns. In 1950, B.B. Janz was Chairman of the Western Relief Committee, a member of the Committee of Reference and Council, member of the Committee of General Welfare and Public Relations, and member of the Mennonite Central Committee with headquarters in Akron, Pennsylvania. This series is rich in information about Janz’s work on these Committees. Finding aid: Benjamin B. Janz list 136–148. XIV. 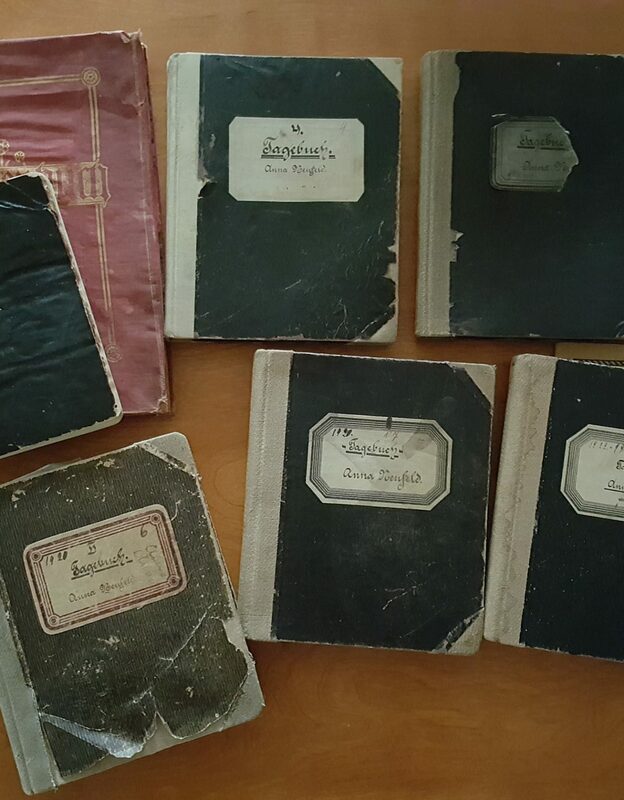 Benjamin B. Janz personal papers and later acquisitions. 14 cm of textual material. Some of this material may have been given to C.A. DeFehr after Janz died. This series contains biographical material but also other miscellaneous papers that are rich in information about the Mennonite Brethren Church and Conference. Some are in the German Gothic script. Not all of the documents are created by Janz. Finding aid: Benjamin B. Janz list 149–159. Series I: Benjamin B. Janz emigration correspondence. Documents, not by Janz, pertaining to meetings of the Central Office of the Union of South Russian Mennonites at Halbstadt. – 1919–1921. Correspondence from B.B. Janz and Heinrich Wiebe to American Mennonite Relief in Scottdale, Pennsylvania about conditions in Russia. – July/August 1921. 16 page letter by Janz. – September 1921. Power of attorney document of the Union of South Russian Mennonites, signed by Janz as Chairman. Report by Union of South Russian Mennonites to Study Commission of South Russian Mennonites and American Mennonite Relief and Dutch Relief Organization. Correspondence by Janz and others. – January/February 1922. Correspondence, Janz to Unruh (Study Commission). – March 1922. Correspondence, Janz and others. – April 1922. Correspondence Janz to Unruh. – May 1922. Correspondence, Janz and others. Canadian Mennonite Board of Colonization to Janz. – June 1922. Correspondence, Janz and others. – July 1922. Correspondence, Janz and others. – August 1922. Correspondence re arrangements for immigration to Canada. – September/October 1922. Minutes of delegates of the Union meeting at Osterwick. – September 1922. Letter from Janz to Orie Miller, Director of American Mennonite Relief. Correspondence, Janz and others. – December 1922. Minutes of Union of South Russian Mennonites. Correspondence re Fordson tractors and other relief. – January/February 1923. Correspondence, Janz and others re travel arrangements. – March/April 1923. Correspondence, Janz and others. – May/June 1923. Correspondence, Janz and others. – July/August 1923. Correspondence, Janz and others. – September/October 1923. Correspondence from Verband der Buerger Hollaendischer Herkunft in Kharkov, Ukraine. Correspondence, Janz and others. – November/December 1923. Minutes of Verband der Buerger Hollandischer Herkunft. List of emigrants. – 1923. Correspondence, Janz and others. – January/February 1924. Correspondence, Janz and others. – March/April 1924. Minutes of the Russian Mennonite Landholders Union at Moscow re emigration. Travel report of Heinrich Reimer, Lichtfelde to Rosthern, Saskatchewan. Janz to Mennonite Colonization Association. Correspondence, Janz and others. – May/June 1924. Correspondence, Janz and others. – July/August 1924. Correspondence, Janz and others. – September/October 1924. Correspondence, Janz and others. – November/December 1924. Correspondence, Janz and others. – January/February 1925. Correspondence, Janz and others. – March/April 1925. Correspondence, Janz and others. – May/June 1925. Correspondence, Janz and others. – July/August 1925. Correspondence, Janz and others. – September/October 1925. Correspondence, Janz and others. – November/December 1925. Travel records. – May/June 1926. General material about the emigration from Russia. Immigrant lists. – 1924. Report about Bethania home for the aged and infirm. – 1925.
Letters, remittances, and receipts. – 1923–1926. Correspondence of Verband der Buerger Hollaendischer Herkunft. – 1926. Correspondence by members of the Canadian Mennonite Relief and Immigration Council regarding B.B. Janz. Obituary of B.B. Janz taken from the Mennonitische Rundschau 4 November 1964.
Letters to and from Janz concerning emigration from Russia. – 1927. Reports and articles concerning conditions in Russian leading to emigration. – Undated. “Emigration from Russia. Russian Selbstschutz and Machno.” A collection of letters and articles written between 1954 and 1976. Series II: Benjamin B. Janz correspondence with Canadian Mennonite Board of Colonization, Mennonite Central Relief Committee, and Canadian Mennonite Relief and Immigration Council. Correspondence about immigration between B.H. Unruh and B.B. Janz. – 1926–1961. Letters from B.B. Janz to David Toews. – 1926–1946. Letters from David Toews to B.B. Janz. – 1927–1946. Zentrales Mennonitisches Immigrantenkomitee minutes and correspondence. – 1927–1950. Letters to and from the Canadian Mennonite Board of Colonization office (not chronologically arranged). – 1923–1955. Letters to and from the Provincial Mennonite Relief Committees (not chronologically arranged). – 1931–1959. Letters from J.J. Thiessen to B.B. Janz. – 1927–1964. Letters from B.B. Janz to C.A. DeFehr. – 1939–1962. Letters from B.B. Janz to J.J. Thiessen. – 1928–1962. Letters from C.A. DeFehr to B.B. Janz. – 1937–1962. Letters from C.F. Klassen to B.B. Janz and B.B. Janz to C.F. Klassen. – 1927–1955. Copies of letters from J.J. Thiessen. – 1947–1963. Copies of letters from C.A. DeFehr. – 1947–1964. Series III: Benjamin B. Janz correspondence with Mennonite Central Committee. Copies of letters from C.F. Klassen and A.A. Wiens. – 1940–1960. Letters between O.O. Miller and B.B. Janz. – 1927–1958. Letters from and to the Personnel Office of Mennonite Central Committee. – 1946–1951. Letters from and to D.H. Bender, D. Schroeder, M. Gingerich, M. Kratz, P.J. Dyck, C.J. Dyck, H.S. Bender, Arthur Voth, J.H. Shenk, Ray Schlichting, J.A. Kroeker, Detweiler, and others. – 1928–1961. Letters between B.B. Janz and W.T. Snyder, Frank Wiens, and C.J. Rempel (Waterloo Office). – 1944–1956. Copies of letters from various persons pertaining to Mennonite Central Committee. – 1927–1954. Copies of letters from C.F. Klassen, W.T. Snyder, C.A. DeFehr, O.O. Miller. – 1927–1958. Correspondence between B.B. Janz and Cornelius Krahn (some in German) – 1946–1961. Series IV: B.B. Janz correspondence regarding alternative service. Letters to Ottawa offices. – 1940–1950. Correspondence with Department of National War Services and with provincial offices. – 1940–1946. Reports, minutes, and correspondence with committee members of Mennonite Relief Peace Committees. – 1937–1959. Correspondence between Janz and young men who are in Conscientious Objector’s Camps. – 1940–1949. Correspondence between Janz and C.O. Chaplains. – 1943. Correspondence with British Columbia and Alberta regarding alternative service. – 1937–1952. Correspondence with Saskatchewan, Manitoba, and Ontario regarding alternative service. – 1936–1951. War Veteran’s Pension. – 1962. Series V: Benjamin B. Janz correspondence with Mennonite Brethren Conferences and Churches. Correspondence with the General Conference of the Mennonite Brethren Church in North America. – 1927–1960. Correspondence with Tabor College. – 1927–1957. Correspondence with the Foreign Mission Board. – 1928–1962. Correspondence with the Northern District Conference. – 1927–1961. 76a. Reports, minutes of, and correspondence with the Mennonite Brethren Bible College. – 1944–1961. Correspondence with the Canadian Office (Winkler) of the Board of Foreign Mission of the Conference of the Mennonite Brethren Church of North America. – 1929–1953. Correspondence with the African Mission Society. – 1931–1954. Correspondence with Bishop David Schellenberg, Ruekenau, Russia. – 1955–1956. Correspondence with Mission to Israel (Western Canada Mission to the Jews) Winnipeg. – 1928–1946. Articles regarding Mennonite Brethren doctrines, probably not written by Janz. – Undated. Series VI: Benjamin B. Janz private correspondence regarding various concerns. Private correspondence with individuals in British Columbia – 1929–1952. Private correspondence with individuals in British Columbia – 1953–1963. Private correspondence with ministers and individuals in Alberta at Acme, Coaldale, Calgary, Chinook, Duchess, Didsbury, and Edmonton. – 1928–1959. Private correspondence with ministers and individuals in Alberta at Gem, Grassy Lake, Glenwood, Crowfoot and Namaka, and La Glace. – 1929–1958. Private correspondence with ministers and individuals in Alberta, Lindbrook to Wembley. – 1927–1953. Private correspondence with individuals in Saskatchewan. – 1925–1961. Private correspondence with individuals in Manitoba. – 1925–1944. Private correspondence with individuals in Manitoba. – 1945–1962. Private correspondence with individuals in Ontario. – 1922–1963. Private correspondence with individuals in the western United States. – 1926–1959. Private correspondence with individuals in the central United States. – 1927–1964. Private correspondence with individuals and ministers in Western Europe, Russia, Germany, Asia, and Africa. – 1926–1957. Private correspondence with J.B. Toews. – 1933–1960. Private correspondence with A.H. Unruh. – 1927–1960. Private correspondence with J.A. Harder. Private correspondence with H.H. Janzen. – 1946–1963. Series VII: Benjamin B. Janz correspondence regarding the General Welfare and Public Relations Committee, General Conference of the Mennonite Brethren Church of North America. Correspondence from B.B. Janz to P.C. Hiebert. – 1927–1959. Correspondence from P.C. Hiebert to B.B. Janz. – 1927–1952. Correspondence from P.C. Hiebert to B.B. Janz. – 1952–1954. Correspondence from P.C. Hiebert to B.B. Janz. – 1955–1961. Correspondence from P.C. Hiebert to board members, C.A. DeFehr, and M.A. Kroeker. – 1945–1958. Correspondence from B.B. Janz to M.A. Kroeker, C.A. DeFehr, C.J. Rempel, Waldo Hiebert, H.A. Dahl and board members. – 1948–1958. Correspondence from M.A. Kroeker to P.C. Hiebert, B.B. Janz, C.A. DeFehr and board members. – 1948–1959. Correspondence from board members to P.C. Hiebert, Waldo Hiebert, M.A. Kroeker, and prospective workers. Some are copies. – 1940–1962. Correspondence from C.A. DeFehr to M.A. Kroeker, P.C. Hiebert and board members. Copies. – 1948–1960. Series VIII: Benjamin B. Janz correspondence with General Welfare Board workers in South America. Correspondence between B.B. Janz and Cornelius C. Peters. – 1946–1962. Correspondence between Cornelius A. DeFehr and Cornelius C. Peters. – 1949–1958. Correspondence with Victor Toews, William Schroeder, Hans Kasdorf, Ben Epp, Cornelius N. Hiebert, John A. Wall, and Henry C. Born. Also reports by G.W. Peters and J.A. Toews. – 1939–1960. Correspondence with G.H. Sukkau. – 1951–1964. Correspondence between Cornelius C. Peters and board members. – 1948–1957. Series IX: Benjamin B. Janz correspondence with individuals in South America. Correspondence with Mennonite Central Committee representatives in Paraguay – J.W. Warkentin, Gerhard Warkentin, Frank Wiens, and C.F. Klassen. – 1947–1957. Correspondence with Hans Epp and Franz Janzen and the colony office in Vollendam. – 1949–1962. Correspondence with Kornelius Voth, A.A. Harder, and the colony office in Friesland as well as other individuals. Correspondence with H.B. Friesen (Fernheim), Willi Janz, Hans Wiens, Jul. Legiehn, and William Loewen (Neuland). Minutes of meetings in Philadelphia. – 1944–1956. Correspondence with Jacob Isaak and Gerhard Balzer, Fernheim. – 1941–1962. Minutes of meetings in Fernheim and Neuland. Correspondence with Peter Klassen (Fernheim), Juan Neufeld (Asuncion), Gerhard Giesbrecht (Fernheim), Jacob J. Wall (Philadelphia), Johann D. Schellenberg (Fernheim) and with other individuals in Fernheim. – 1921 – 1960. Correspondence with Tobias Foth and Jakob Warkentin, Uruguay. – 1947–1960. Correspondence with individuals in Curitiba and Bage, Brazil. – 1946–1958. Correspondence with Peter Hamm, Hans Legiehn and Gerhard Rosenfeld, Brazil. – 1947–1959. Correspondence with Mennonite Central Committee representatives in Brazil. – 1947–1959. Series X: Benjamin B. Janz and publications. Correspondence with the Mennonitische Rundschau and the Christian Press. – 1926–1962. Correspondence with the Mennonite Publishing House in Hillsboro Kansas. Includes some letters from J.F. Harms and Abraham Schellenberg. – 1927–1955. Correspondence with Der Bote. – 1926–1963. 54 articles written or collected by B.B. Janz. Subjects are devotional, theological, and historical. A list of subjects is included. – Undated. Series XI: Benjamin B. Janz and Canadian immigration. Correspondence with friends in Russia, the Government in Ottawa, the Canadian Pacific Railway, the Commissioner of Immigration, and officials of the Canadian Colonization Association. – 1927–1950. Correspondence with local government offices in Alberta. – 1929–1960. Correspondence with the Canadian Mennonite Board of Colonization Settlement Board, Canadian Colonization Association, and the Canadian Pacific Railway. Also copies of Orders-in-Council, articles about Mennonite settlement in Canada, minutes of meetings of the Canadian Mennonite Board of Colonization. – 1927–1939. Reports about various persons who were scattered by the Russian Revolution. – 1929–1958. Correspondence regarding donation of clothes for relief. – 1928–1948. Correspondence with Standard Importing & Sales Company, wholesale importers in Winnipeg, regarding drill ploughs and cream separators. – 1928–1930. Correspondence regarding the Coaldale High School. – 1927–1959. Thank you letters to B.B. Janz. – 1945. Correspondence regarding difficult problems. – 1947–1952, many undated. Series XIII: B.B. Janz correspondence. Official and personal correspondence with various individuals. – 1940–1949. Official and personal correspondence with various individuals. – 1950. Official and personal correspondence with various individuals. – 1951. Official and personal correspondence with various individuals. – 1952 (January to June). Official and personal correspondence with various individuals. – 1952 (July to December). Official and personal correspondence with various individuals. – 1953. Official and personal correspondence with various individuals. – 1954 (January to June). Official and personal correspondence with various individuals. – 1954 (July to December). Official and personal correspondence with various individuals. – 1955. Official and personal correspondence with various individuals. – 1956. Official and personal correspondence with various individuals. – 1957. Official and personal correspondence with various individuals. – 1958–1963. Correspondence regarding B.B. Janz Archives. Canadian Mennonite Relief and Immigration Council correspondence. Not created by Janz. – 1964–1965. Funeral message by J.J. Thiessen. – 1964. B.B. Janz obituary written by J.A. Toews. – 1964. Sermon preached by B.B. Janz at the Canadian Conference at Virgil Ontario. – 1954. Correspondence regarding the B.B. Janz archive. Janz’s conversion story and other articles written by Janz. Minutes of Lichtenau Conference of Mennonite Brethren Church. – 1918. Minutes of Melitopel Conference. – 1926. Conference related information, not created by Janz. – 1956. Bethesda Home Minutes. – 1953–1961. Certificates, permits, ration booklets, invoices, minutes of Canadian Mennonite Board of Colonization, and some correspondence. – 1928–1958. Original statistics chart of the Canadian Mennonite Brethren Churches. – 1951. Diary of B.B. Janz trip to South America, in Gothic script. – 1947. Mrs. B.B. Janz from Tiege to family in Canada. – 15 April 1925. Jacob P. Neufeldt, Madera, California to B.B. Janz family. – 20 February 1944. Commemorative article. Ein Denkmal zu Ehren von Benjamin und Maria Janz. – 2002.